The day has finally arrived. 12/12/12. I’ve talked about the hype behind this beer before but I’ll very quickly say that this has been rated as the best beer in the world and has been one of the hardest to get. 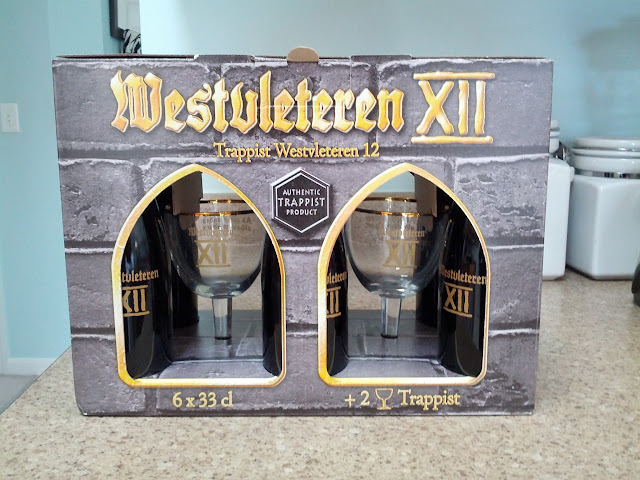 Starting today, and likely only today as it will sell out, the monks have changed their rules so instead of only buying it at the abbey you can buy it across America. I was lucky enough to win a lottery drawing to be able to pay $85 for the 6-pack + 2 glasses. Some are going to the basement for aging, some are being saved for a tasting with friends, but 1… 1 is going down tonight!